This week I was really on the bauble (sorry) and caught the newest Kurt Russell action flick to hit the big screen. 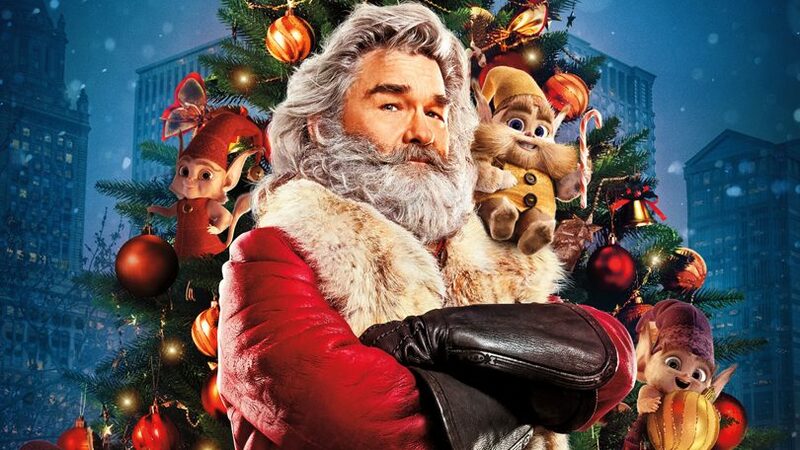 Actually, it’s a Netflix original Christmas movie in which Kurt Russell plays Santa Claus, but close enough, right? Here’s my review of The Christmas Chronicles. The Christmas Chronicles was released on 22 November on Netflix. Siblings Kate and Teddy inadvertently throw a spanner in the works for Santa on Christmas Eve and end up spending the rest of the night trying to help old Saint Nick meet his present-delivering quota for Christmas 2018. Add some CGI reindeer and sometimes-cute-sometimes-terrifying elves, plus a dash of family tragedy to give some weight to the storyline, and you’ve about summed it up. Definitely one for the family in the run-up to Christmas. Kids will enjoy this – parents will mostly endure it. Kurt Russell plays Santa (has that happened before?) and does so pretty well. It’s a slightly different take on the jolly man in red (for one thing, he isn’t fat), and one or two super-cringy scenes aside, his performance is memorable enough. The start-out-fighting-but-you-know-they’ll-work-it-out brother and sister pairing are played by Judah Lewis and Darby Camp respectively. Again, there are moments of cringe to winch through, but generally, these two young actors do a good job. Younger kids will relate to Camp, teenagers will get where Lewis is coming from, and parents will see their own children in both, no doubt. This is a pretty standard Christmas movie. For the most part I felt like I’d watched it before – the whole ‘interfering with Santa’s job and having to help him get things back on track’ trope is common enough in these sorts of family movies (Tim Allen wouldn’t have been out of place here) and you’ll know exactly how things will turn out after the first ten minutes or so. But I think that’s the point of these movies. They’re all about comfort, familiarity and childlike wonder. There are definitely moments when The Christmas Chronicles nails it. Of course, there are plenty of moments when it misses the mark, too. The whole premise is supposedly based on two kids who catch Santa on video, and while little Kate dutifully carries round her camcorder and films when she can, it doesn’t have any real significance to the plot in the end. I thought there’d be a clever twist somewhere along the way, but it just leads to a flat punchline in the final shot. The film rapidly goes downhill about halfway through when the kids are separated from Santa: we end up with Kate at the North Pole being attacked by hundreds of very fake-looking cartoonish elves (more like cats with beards – not sure what the filmmakers were thinking here), Teddy hauled off to a street gang headquarters and threatened with incineration (no, really), and Santa in jail singing the blues, backed up by a full band as easily-persuaded police officers bop along. I almost switched it off, at this point, but it just about gets back on track after that random deviation and ends on the predictable, but still fairly heart-warming, note I was waiting for. The Christmas Chronicles is far from the best festive film you’ll watch this holiday season, but if you’re home some evening with the kids and don’t mind a bit of cheesiness and under-invested CGI, it’s worth a casual watch.